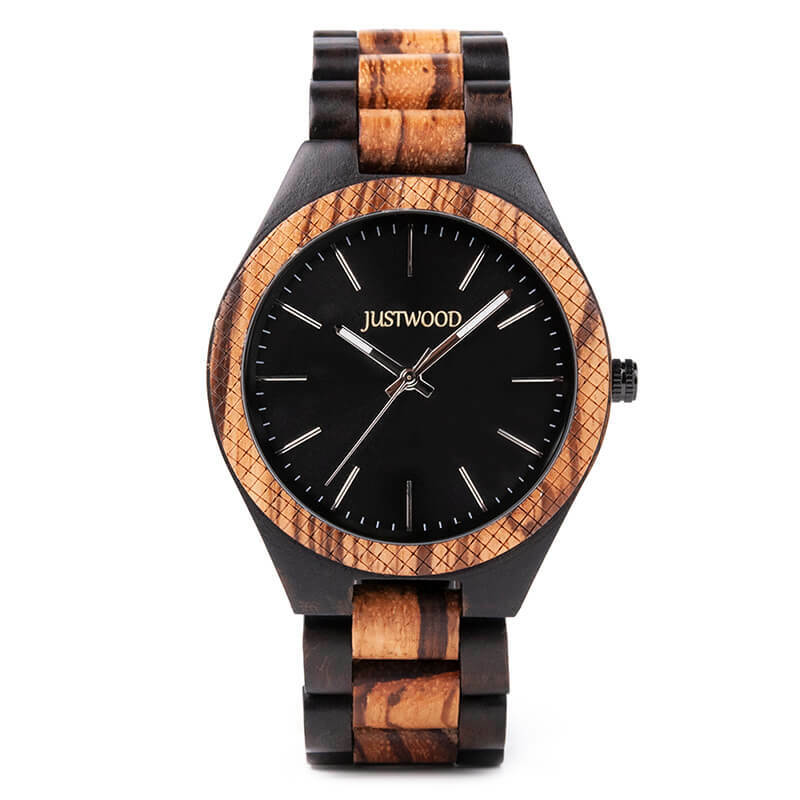 The Justwood Apollo II wooden watch offers contemporary style the natural way. 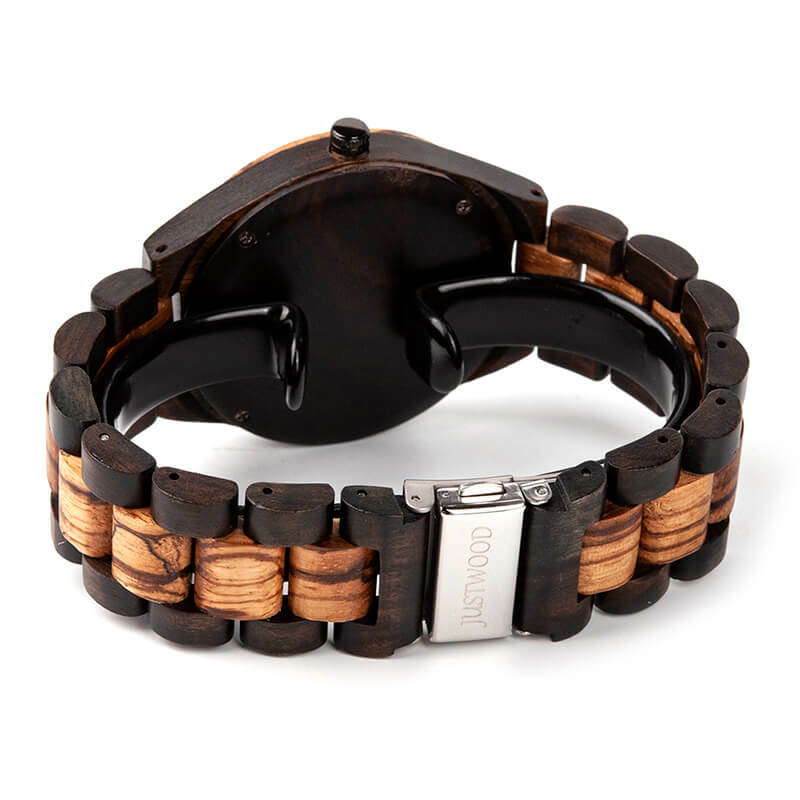 Made from Zebra and Ebony Wood there is nothing that speaks ‘manliness’ more than the feel of being in touch with nature. 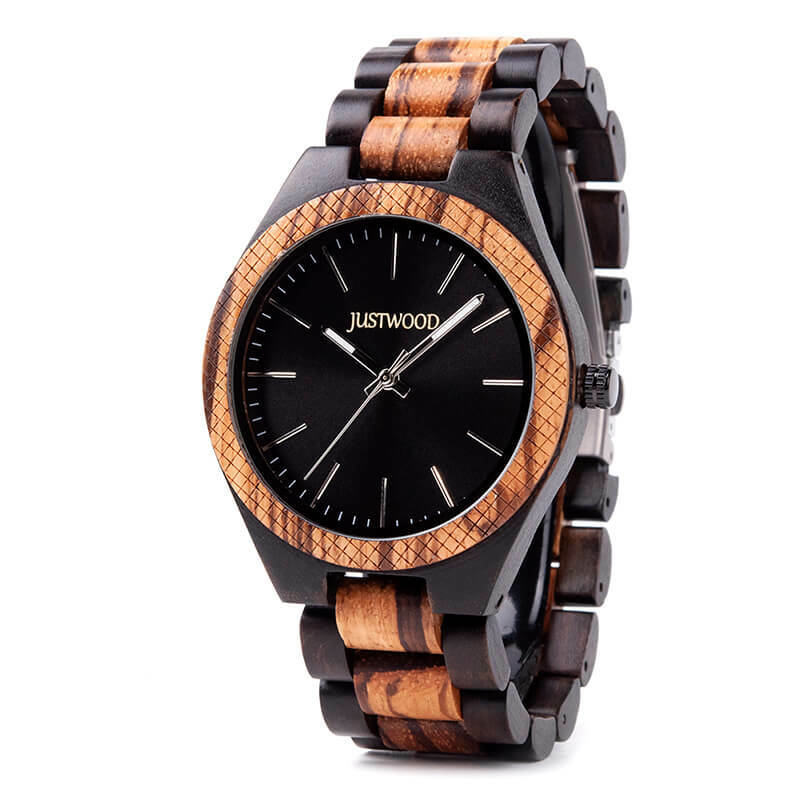 Invoking memories of fishing, camping and weekends roughing it with the mates, the ‘Apollo II’ wooden men’s watch is for the man who see’s nature as part of our life but knows that sophistication and style are also paramount.